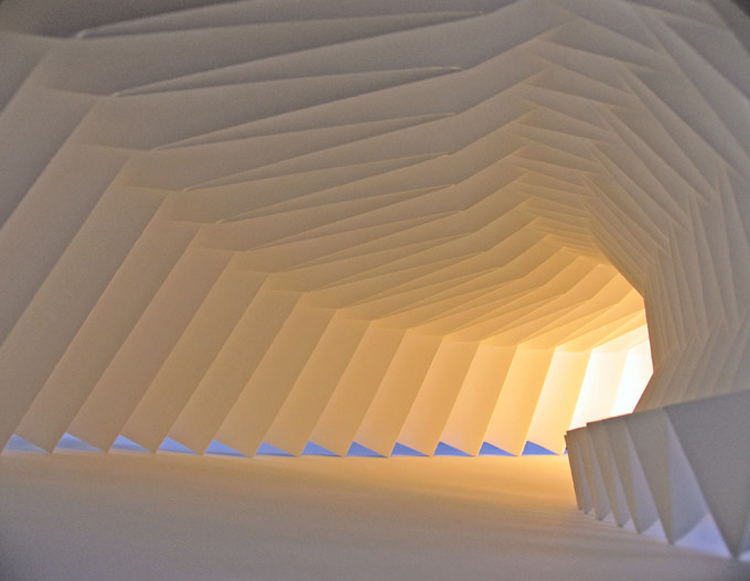 English artist Richard Sweeney concentrated on the hands-on manipulation of paper to create design models in his studies which ultimately developed into sculptural pieces. He now combines hand-craft with computer aided design and CNC manufacturing techniques, maintaining an experimental approach to discovering unique sculptural forms. Pretty amazing. This entry was posted in Art, Graphic Design, Industrial Design, Just Plain Cool, Stuff We Like. Bookmark the permalink.